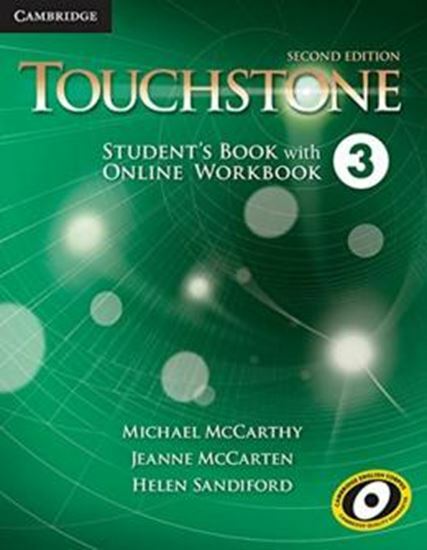 Touchstone Second edition is an innovative four-level American English course for adults and young adults, taking students from beginning (A1) to intermediate (B2) level. Each Student´s Book contains approximately 90 hours of material across 12 topic-based units - with additional grammar and pronunciation practice added for the Second Edition. Student´s Book, Level 3 is at the low intermediate CEFR level (A2-B1). This version of the Student´s Book also contains an activation code that grants access to the Online Workbook, Level 3 for 12 months. The Online Workbook provides practice of the language studied in the Student´s Book. Exercises are graded automatically and students can easily track their progress and scores.